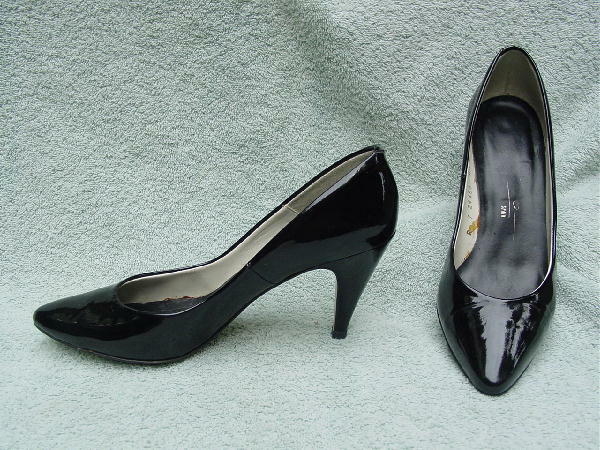 These black patent leather pumps have pointed toes, white leather linings, and black padded insoles. There are some scuff marks and the vamps have wrinkles. The right shoe heel has a scrape at the bottom and the left heel has a ding. They're from an Asian model.